Practitioners like you have been turning to Micozzi’s comprehensive CAM text for the past 20 years. 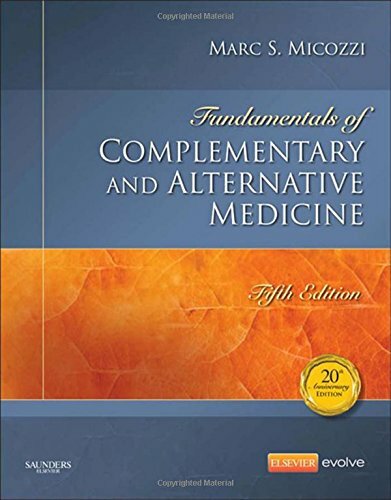 Filled with the most up-to-date information on scientific theory and research and updated contributions from world experts, Fundamentals of Complementary and Alternative Medicine, 5th Edition gives you a solid foundation of the therapies and evidence-based clinical applications for CAM – and expands your global perspective with new and updated chapters on healing systems from around the world. Dive into interesting discussions on massage, manual therapies and bodywork, yoga, chiropractic, osteopathy, herbal medicine, aromatherapy and essential oils therapy, “nature cure,” naturopathy and naturopathic medicine, and nutrition and hydration. With its wide range of topics, this 20th anniversary edition is your ideal CAM reference!